John Beswick. Leslie Gerry Collection. Width: 8.7 cm. Height: 24.0 cm. Details: Clearly marked with the Mack backstamp as shown in the last picture. R & J.Mack previously worked for Beswick as painters/decorators. John Beswick Emperor Penguin Chick. A lovely gift for children and for the many older fans of penguins too! John Beswick. Black and White. 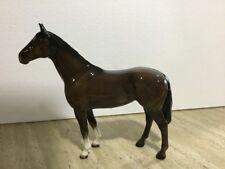 A Lovely Example Of A Beswick Skewbald Pinto Pony. Model Number 1373 - 2nd Version - Tail Attached To Leg. John Beswick Thoroughbred Stallion Steel Grey. Depicting the poise and power of the Thoroughbred Stallion. Gift Boxed. Thelwell Ponies. John Beswick. "Don't Tire Your Pony". John Beswick Dog Collection. Dog Collection. Every piece has been lovingly hand painted with colours that skilfully brings life to each beautiful sculpture giving instant visual and tactile appeal. This piece of John Beswick is a 2019 issue of a. BORDER TERRIER Standing. Polar Bear Cub. From the Arctic Baby collection. Supplied in a John Beswick Gift Box. As a much loved feature of our birdlife this piece is an ideal gift for wildlife enthusiasts or collectors. This piece of John Beswick is a 2019 issue of a. SCHNAUZER Standing. John Beswick. 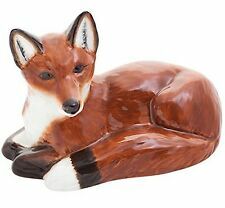 The John Beswick collection represents the worlds finest tradition for ceramic animal sculptures. Every piece is hand painted to reflect the natural glory. Suffolk Lamb-JBF80. Made of ceramic. 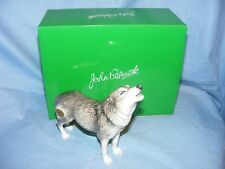 RARE BESWICK LIMITED EDITION JUDY FIGURINE, NEW IN BOX. ITEM SHOWS BESWICK BACKSTAMP. LIMITED EDITION OF 2,500, NEW IN BOX. A LOVELY PIECE TO ADD TO YOUR COLLECTION. Very large Beswick model of bay thoroughbred. White blaze and two white socks on front legs. Height 24 cm approximately Length 27 cm This is in excellent condition except for a small repair to tail which is hardly noticeable. Please see photos for this. I am selling at a low price due to this. Lovely looking piece to add to any horse or Beswick collection. John Beswick. 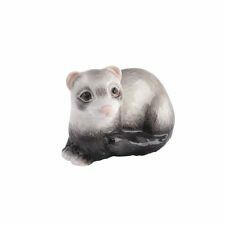 The John Beswick collection represents the worlds finest tradition for ceramic animal sculptures. Every piece is hand painted to reflect the natural glory. Bird Collection. Width: 11.5 cm. (Code Number JBF84). "Charolais Bull". Farmyard Series. John Beswick. Crafted with realistic features and a lovely colour way.